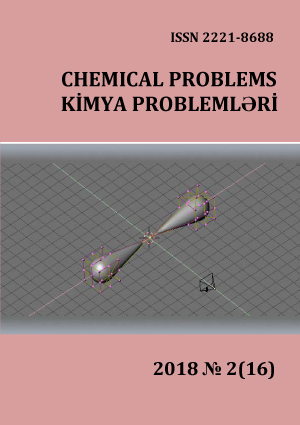 In 2017 Young Scientists and Specialists Council of academician M.Nagiyev Institute of Catalysis and Inorganic Chemistry held a number of scientific and public events with assistance of the Institute according to the plan approved by the Presidium of Young Scientists and Specialists Council of ANAS. On February 12 of the current year "Open Day" was held for pupils of the Caspian Sea lyceum of White City branch. Within the framework of the event pupils were introduced to different laboratories of the Institute and informed on modern devices and the installations. Scientists and young specialists of the institute provided to pupils extensive information on the carried out researches, their practical importance and the prospects of their application. 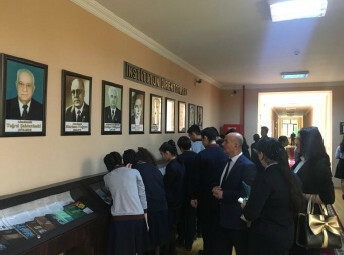 In addition, pupils were informed on the life and activity of outstanding scientists of the institute working now and that time. On April 13 of the current year the similar event "Open Day" was held for pupils of Republican chemical and biological lyceum organized by Council of Young Scientists and Specialists Council. Now, in our country great opportunities have been created for development of science, education and their integration and in academy in this direction the major works are being performed. The purpose of holding such events is the formation of outlook of pupils and increase of their interest in chemical science. Within the framework of events quizzes on chemistry were organized for pupils and winners were awarded with diplomas. 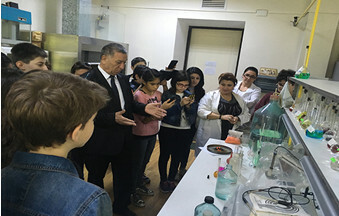 And also, members of council Samira Mammadova, Gulshan Nakhmetova and Sevinj Osmanova showed pupils entertaining scientific programs and excursions on various laboratories were organized. In conclusion young scientist of the Institute Shamo Tapdigov made a report before pupils on the subject "Dead Polymers in Living Organisms" and answered to their interesting questions. And also the excursion was organized for pupils of private high school UNİCER. During the excursion school students were introduced the history and research works of the institute and after acquaintance with laboratories of scientific institution various entertaining and interesting experiments were shown. 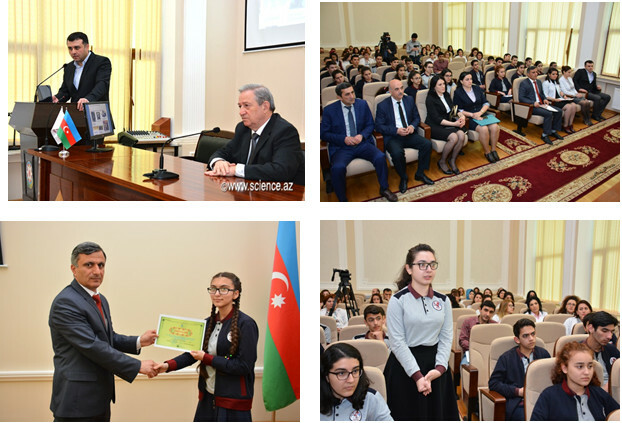 Besides, the "Small Academy" of talented pupils created on joint initiative of Azerbaijan National Academy of Sciences (NASA) with the Ministry of Education and Young Scientists and Specialists Council of ANAS operates at schools of Baku. This year on the events held at schools No.232 of the settlement of Byulbyul in Surakhany and No. 162 of Sabail district members of Young Scientists and Specialists Council actively participated. This year summer school for university students was organized. This year at the initiative of council lectures and seminars on "Methods of Physical and Chemical Researches" – an electronic paramagnetic resonance, IR spectroscopy, UV spectroscopy, NMR, X-ray analysis were organized at the institute. The purpose of holding such seminars and lectures is assimilation of doctoral candidates and masters theoretical bases of the physical and chemical analysis and ensuring the use of the acquired knowledge in practice. 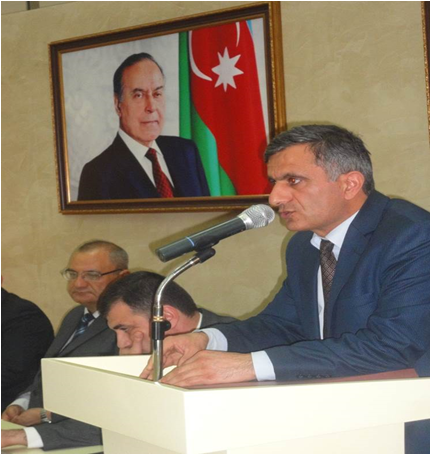 On November 21 the international conference dedicated to the 90th anniversary of the outstanding crystallographer, corresponding member of ANAS Khudu Mammadov was held. Members of Young Scientists and Specialists Council actively participated in the organization of the conference. In compliance of the order of Presidium of ANAS Young Scientists and Specialists Council actively participated in the organization of foreign language training courses for young specialists, doctoral candidates and masters at the Institute. Within a year one of young specialists of the Institute defended doctoral thesis and two specialists defended PhD thesis. 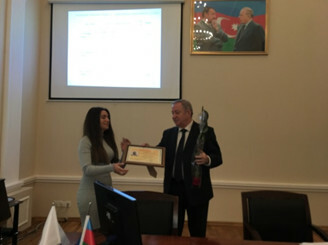 Natavan Sultanova research fellow of the Institute was awarded Honorary diploma of Presidium of ANAS for the scientific achievements for the last year. Nigar Ibragimova, junior research fellow was awarded the diploma of the 1st degree among students in the competition "Master — 2017". On November 1 of the current year with the organization of Young Scientists and Specialists Council of the Institute a competition among young scientists and specialists was announced for granting “Academician Murtuz Nagiyev” award. In compliance with the rules of award the commission highly appreciated the activity of one candidate. 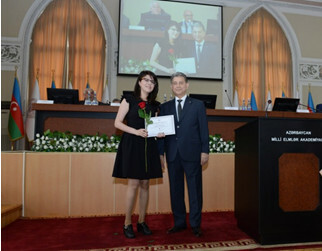 Fidan Ibragimova, research fellow was granted "Academician Murtuz Nagiyev" award for distinguished activity in science, and Vusal Akhmadov, research fellow and Sabina Ismayilova, junior research fellow were granted appreciation awards. One of young specialists of Institute defended doctoral thesis and two specialists defended PhD theses. 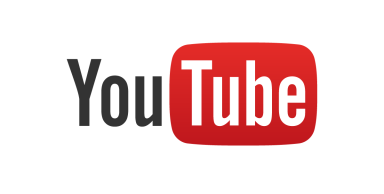 4 employees were granted a scientific title - assistant professor. On December 15 of the current year I Congress of Young Scientists of Azerbaijan was held Young Scientists and Specialists Council of the Institute took an active part in holding and organization of the congress. 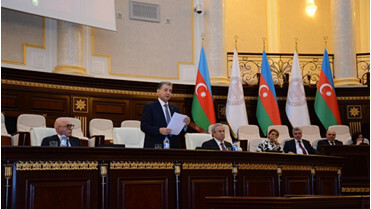 3 members of the council were elected delegates to the congress. 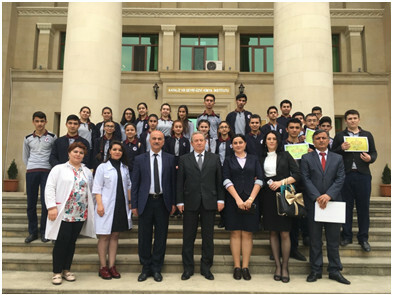 Young Scientists and Specialists Council actively participated in Republican Remembrance Day "January 20" and "Khojaly genocide" which were commemorated at the Institute. 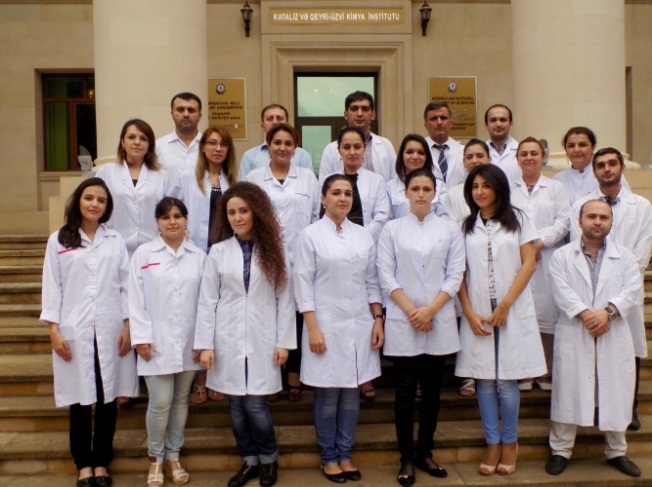 - from 2015 lectures and workshops on “Physical-chemical research methods” was organized for young researchers in the Institute. - 3 members of the Young Scientists and Specialists Council of our institute took I, II and III places of grant competition of the Presidium of ANAS dedicated to 28th May Republic Day. 1 employee took I place, 2 employees took III place in the competition held between young scientists of ANAS dedicated to 20 years of “Contract of the Century” with financial support of SOCAR Science Fund. 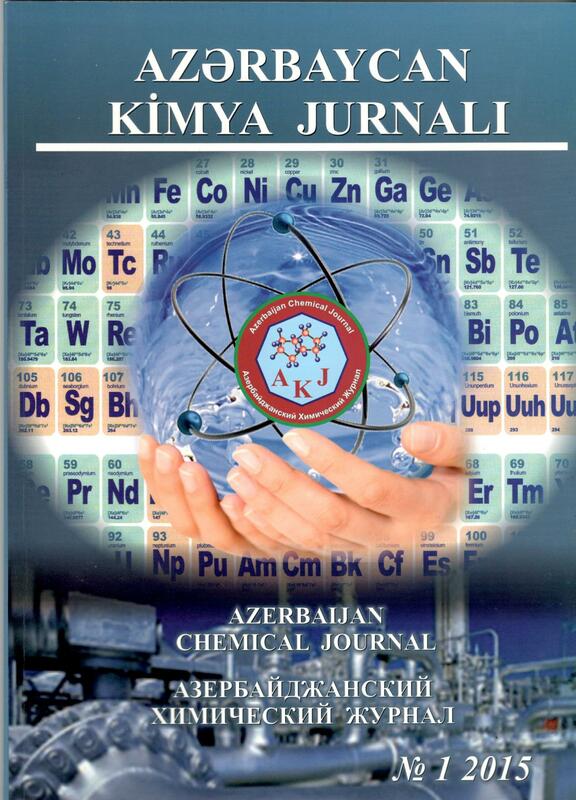 Scientific works of young scientists and specialists were conducted on 2 projects and won 3rd competition (2013) of Science Development Foundation under the President of the Republic of Azerbaijan.